****Your project of your choice MUST include these colors: BROWN, BLUE & RED! OMG i cant beieve it is Thursday already, i will work on a card on the weekend. Your boys are just to cute. It is such a fun addition to you videos!! 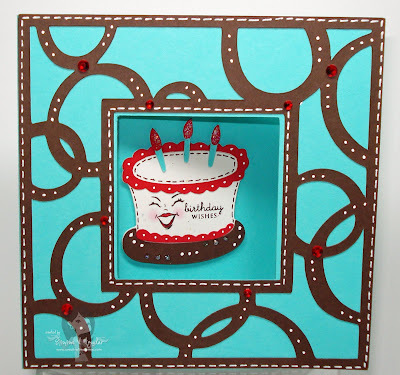 Your card is adorable, I have used that circle card topper before and just loved how my card turned out using it! The colors are great, I can't wait to participate in this one. bummed I won't be able to participate this week...I'll try for next thursday! I think this may have been the first cartridge I purchased! 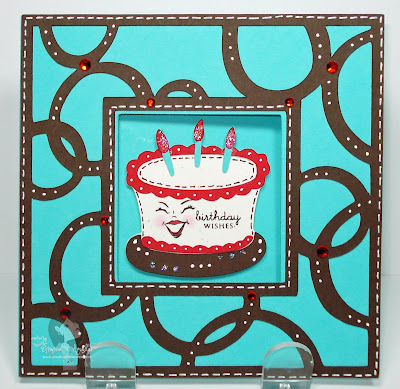 I love how inspiring you are Emma I've yet to make a card this beautiful with this cartridge. I will be participating. Keep on inspiring! I love this card. So Cute!!! I just wanted to add that if you want to use a card that's already on a cartridge but don't want the score marks they create you can take them off with the hide button on your gypsy. :) My new favorite feature!! Have a great day. Love the card Emma hoping to join in this week ! Your boys are a hoot ! Have a great day ! I love how your doodling just makes the card. I went to michael's last weekend and got some gelly roll pens to try it myself. The swirly cut you used turned out beautiful. Off to create. Watching you use a Gypsy, really makes me think I need to let my Hubby know that I NEED one. :) You're boys are so cute! TFS! Throwback Thursdays are becoming my favorite days!! Thanks Emma!!!!!! Your card is way too cute! :) And I actually have this cartridge (got it at Big Lots). If only my craft room was unpacked...I still haven't gotten any Peachy Keen stamps (mainly because I can't decide which ones to get-I want them ALL and coming to your blog doesn't help-lol!). It would be so wonderful to win a set. Your boys are so adorable!!! It's fun that they want to be involved. Ok, I'm loving that cake face! If I don't win them here, I will have to get them! WOW that card turned out super cute! I love those PK faces too I've never seen that set before! I am really enjoying these challenges. Keep them coming. I know it's hard to see but my card (#5) says, I Scream, You Scream. And the inside says We all scream for Ice Cream. this was a blast. I think i'm going to make a second and maybe a third project with these colors, and post them on the same blog post ( so you can see) since i now have a ton of scraps!! Cute card. Very funny video with the boys. Anthony reminds me of my son, Michael - oh how they make us laugh! I'll try and put together a project for later. TFS. Just posted my card. That was a bit harder than I expected trying to decide what cut to use. You never stop amazing me. I love the card. I have the cart and never saw that kind of potential. PK stamps really add a lot to a project. Thanks for sharing. Great Throwback Thursday once again Emma! I am really getting into these! Thank you for the inspiration! Using one of my favorites Lifes A Beach cart. Live Life!!! I love your site and videos. Your oldest son has a giant smile and he doesn't break from it no matter what's happening with the younger boy whose apparently the clown of the family. They are fun to watch. Almost forgot to post a comment. I really love throwback thursday! It's so much fun! Thanks Emma! Hi Emma! Great challenge! I just linked my card. I used Once upon a Princess and Peachy Keen stamps. I hope you like it! Yo Emma! SUPER CUTE CARD MISS LADY! I have always wanted to use that bubble overlay thingy. ;o) And this was my second cart ever too! I put my card together real quick after coming home from two Wally World's with NO luck again! What a super card Emma, a bit of a fiendish colour challenge, but your card looks super and very inspiring.. I really am going to try to join in, just a bit up to my eyes in stuff at the mo. WOW! This card is soooooo great! I love all the cool things you do with your Gypsy, I'm learning little by little. And the stamp - awww isn't she a cute lil cake? :) Entered! thanks for hosting the fun! Love your card as always! Also, your son's dance moves are so cute! Thanks for sharing. Another very cute card Emma as always!!! I am as addicted to your blog as I am to papercrafting!! :-) Thanks for all you do!! Hi Emma, what a great challenge you came up with! Hope you like what I came up with and hopefully I will get lucky this time winning the stamps!! I have not used this cart in forever! Thanks for the fun challenge! I don't have a blog, so I linked to a message board I'm on - hope that's okay! Jennifer S., I hope you will read this before Sunday! Can you PLEASE re-post your entry because the link did NOT work! PLEASE, IF ANY OF YOU LOVELY LADIES KNOW JENNIFER S., CAN YOU PLEASE GIVE HER THIS MESSAGE, I DON'T WANT HER TO LOSE OUT! THANK YOU! I haven't used this cartridge much lately either. I had such fun making my card for the challenge and I only have one set of Peachy Keen Stamps and could stand to win more! Thanks for looking and thanks for leading this challenge. Happy Friday !!! HI aGAIN Emma!!! 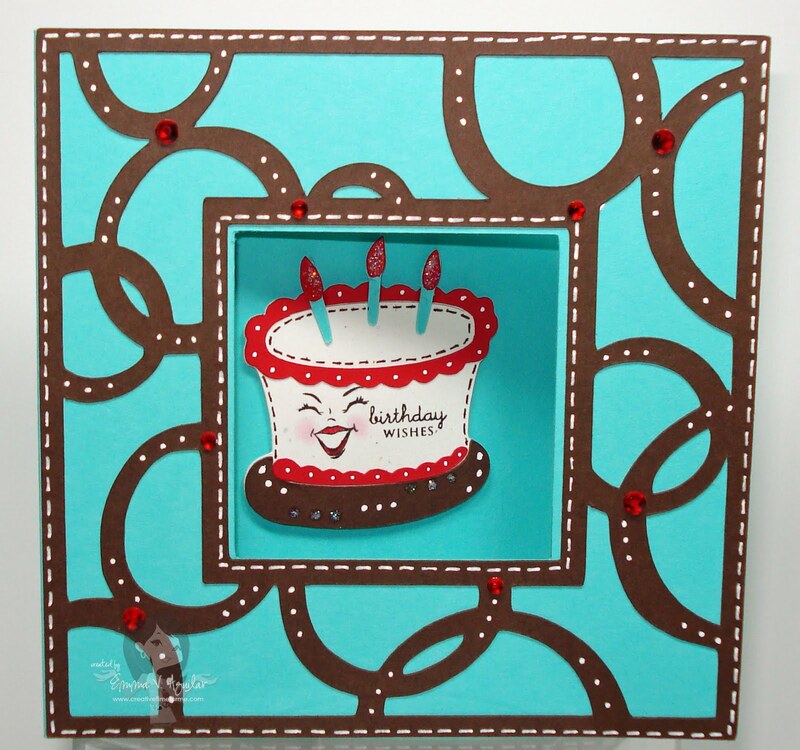 Here is a simple yet pretty card from the Paisley cart. I don't have SYI, but i made the card using the colors you specified. Hi Emma. These challenges are such a great idea. I'm so glad you used red, it's my favorite color! I'm #39 and I don't have a blog so I thought I'd give you a short rundown. I used SYI for the frames (sized with my gypsy), word art, shells and sand castle. Taking a picture of a 12x12 LO is kinda hard. The pictures look fuzzy, but they aren't in real life. Thanks! Emma! 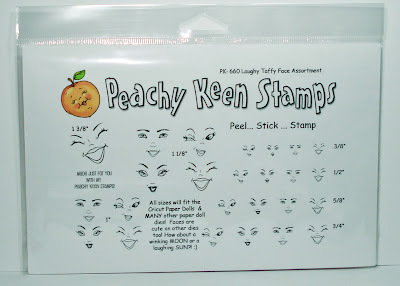 I just love those new peachy keen stamps! You are going to convince me that I need to buy them after all, aren't you! LOL! So cute! Wish I had time to play along with you... but alas... the second Hello Thursday is less than a week away, so I better get in gear! I was able to play this week! Probably not very original, but at least I made something! Thanks for the chance to win!! I just love your blog. This was quite the challenge. I didn't expect that. :) It was fun to come up with this card. Thank you Emma for your inspiration. Awesome Emma, I'm having a great time with your throw back challenges. I love your card Emma, it is just too cute. Thanks for sharing. Emma first of all your card is very cute... Thank you for the challenge, it was really fun and did stretch my imagination, love pulling out the older cartridges and using them. Thanks again and keep them coming! Emma, you're so sweet! You will love the mini monster cart! I used the frog from it last week for your challenge. Thanks!! I've always LOVED SYI! Your card is wonderful...gotta get me that stamp set and a few more at PK! All the other projects are great! Such a creative bunch! I made my card and posted my link. I am so excited and hope I win. Emma, I have finally gotten over here to see throwback thursday and your project is totally awesome. Can't wait to start mine. Boy Emma - It takes me a LONG time to think outside the box. I am such a beginner still - thanks for inspiring me. I used my gypsy girl to weld and cut the flower pot but the handle was too flimsy so I ended up putting the whole thing on some cardstock and making a bigger card. Hope you like it!!! Thank you for allowing us to participate. I'm number 61. I am having so much fun with these challenges. This was a great idea. I love you card and your boys are terrific. Just entered my card. So much fun. I like to have a challenge to stretch my imagination. Hi Emma I love your card. I just entered my card I hope I win I really want ppeachy Keen Stamps they are so cute. Thanks for the chance to win. My very first time entering, very exciting! Thanks for the encouragement and the opportunity. Love your card!! and that frame is awesome as!! Think i will have to try to make it on my gypsy. 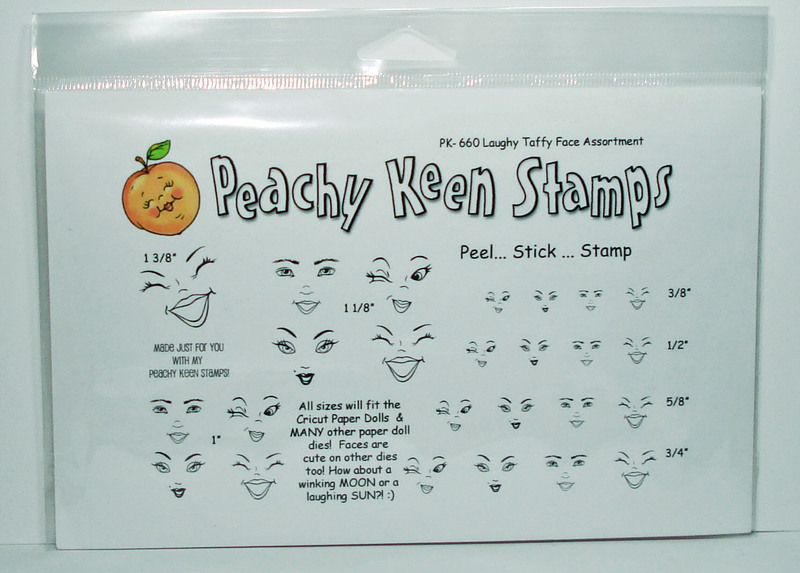 I love these peachy keen stamps too!! fingers crossed. I forgot to comment when I posted my link! Thanks for this challenge! I would love any feedback you can give me. I just want to exchange fun ideas with crafting friends!! I so love your card! Thanks for this great opportunity to win some Peachy Keen Stamps, I just entered my card. Thank you for a great opportunity. This is my first challenge and it helped get my creative juices flowing. I can't wait to do it again. Yaaay! I made two challenges in a row! This was fun, and opened up new color options for me. Plus I love that cart, but haven't used it as much as I would like to. Thanks Emma! Thanks for the great challenge, Emma! I love the cake card! Thanks for all your hard work on your blog! yay Emma i did it, hope it worked. Thanks, this was so fun! I love doing your challenges. You have great videos. I have learned a lot from you. Thank you again. Hey friend ! Thanks for doing these challenges and give aways ! They are so fun and they keep my creative juices flowing, love it ! Love the flamingo too ! Makes me want to go to Miami ! Thanks Emma for your challenge. It was fun. I never would have put those colors together on my own..so thanks for the inspiration. HI Emma your card is soooooo cute!! I love the colours used it looks great well done!! Hi Emma- Thanks for these great challenges- love to crack open the "oldies"! I am sorry Mr.Linky is broke! Always at the worst time!! Thanks for another wonderful challenge. It was just what I needed to get my boyfriends birthday card made. Colors were perfect! Emma, loves these challenges. They really are making me think about a few of them. I didn't think Red, Brown, and blue of a color palette I normally use so it was truely a challenge. this was a lot of fun. thanks emma! Hi Emma! This is my first challenge for your blog. I really tried to "think outside the box", but maybe only my subject meets that qualification. I did hand cut all of the pieces for the cube. Any who, really liked the challenge, it made me think! Thanks so much this is my first time doing one of these. I had tons of fun creating this challenge. Good luck to all the entries! I am so glad to be a part of your challenge. I really like all of your work and you continually inspire me with all of your ideas!!!! Thanks for all you do with your blog. 49ER. WOW I can't believe I am #110 again just like last week... that's funny. I am glad you extended the deadline, otherwise I would have been out of luck!!! Thanks for the opportunity!! This is fun!! Yea Mr. Linky is up! I had fun using the new Cricut Lite Slumber Party cart! I just love these sneakers! Thanks for another great challange! Emma great job on the card. I have learned so much from you. You have such a passion for the Gypsy. I am enjoying mine more and more. wow! this was harder than i thought. but i'm happy with what i was able to come up with. thanks so much for all you do and the chance to win! Thank you for extending the posting time. Our power went out over the weekend. I did the balloons in styi with minimouse for my niece's second birthday. I really enjoyed doing this challenge! Thanks for all your wonderful videos and tutorials. Hi Emma!! Glad Mr Linky is working now!! I'm post #118!! This was a good challenge!! These colors were not something I would of put together by myself, so I definately "had to think outside the box"!! Thanks so much!! emma...i do have SYI but I made this card last night and one of my bloggers gave me the heads up on the colors I used and your throwback TH. The brown could be the kraft paper and/or some of the stiches/dots. Hugs 2 U my dear emma! Love the colors, I needed to do a baby shower card for this weekend so it motivated me for sure! Thanks! Hi Emma! I have been following you for a while and am very excited to take on your challenge! The colors were outside of my norm, but I hope you see that I tried to ssstttrrretch my imagination! Thanks for being you!! I'm so excited that there's some new stamps!! Whew... I think I made it just in time. This is my first time linking... so I am glad it worked. I loved this challenge. I needed to make some Thinking of You cards for my Mom that did not have "Pink" in it... thus able to give to a guy/couple. Red, Blue and Brown challenged me to think a little. This is fun!! Thank you Emma! I am super excited that I enter... Well I hope I made it in on time not sure the time difference.